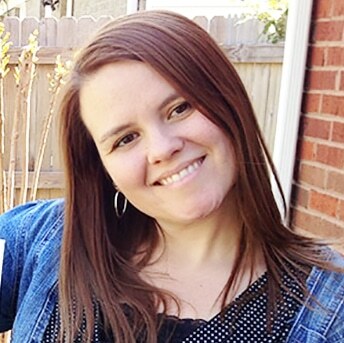 This Barbecue Brisket Mini Taco Boat recipe is a sponsored post for Old El Paso. All opinions are my own! It’s time to start thinking about what to serve up at the Big Game this year! I’m not sure what is more exciting to me, the game or the foods! Okay, it’s the food! 🙂 I mean the game comes in at a close second, but the excitement for me is planning out the party menu. My favorite foods to make for the Big Game are appetizers and I make sure to have a variety of them each year. 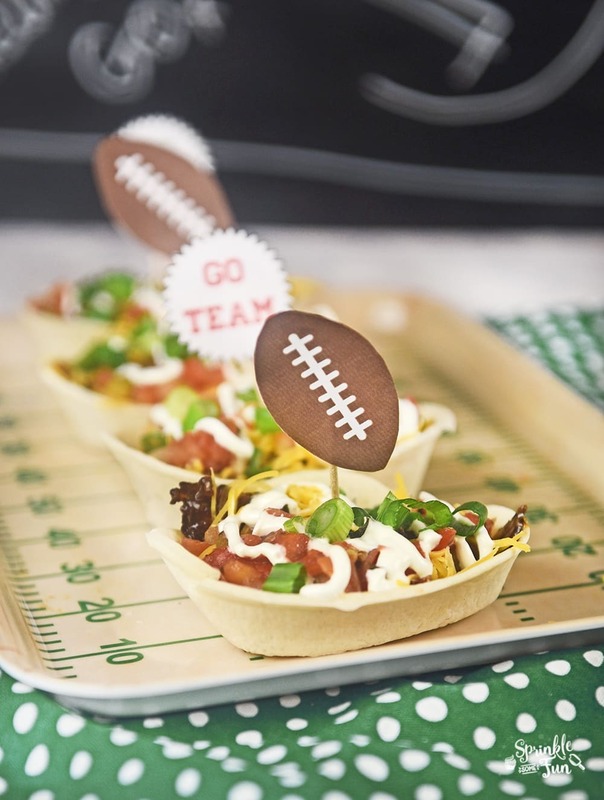 This year I am serving up Barbecue Brisket Mini Taco Boats! 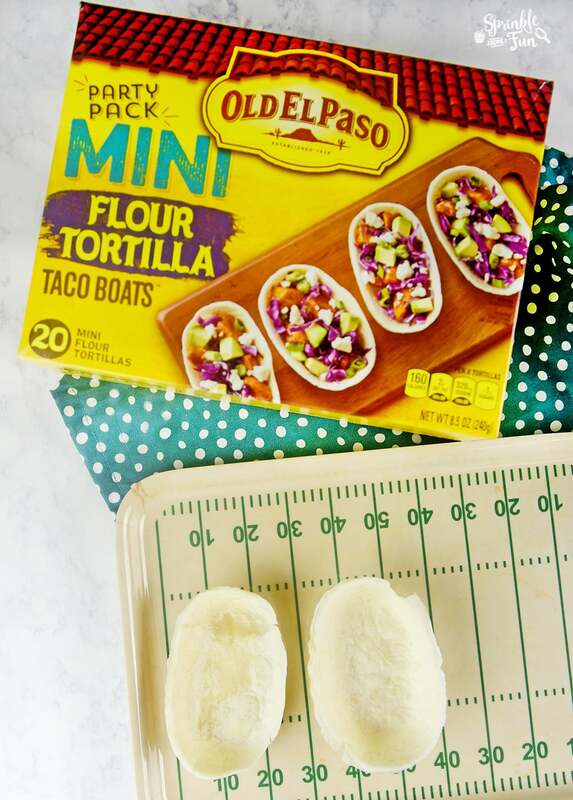 They look complicated, but they are super easy to make using Old El Paso Mini Soft Taco Boats. 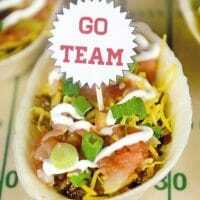 These Barbecue Brisket Mini Taco Boats are a great size for an appetizer and are loaded with flavor! I went to Walmart the other day to start shopping for the Big Game. I found the Old El Paso Mini Soft Taco Boats at Walmart in the isle that has rice and beans. Old El Paso has many great varieties of Taco Shells and Soft Taco Boats. I know I will be going back for more and using them for the Big Game! What’s fun about the Old El Paso Mini Soft Taco Boats is that they are really versatile! I will be using these for dessert taco boats as well. I’ll have that recipe up soon too. 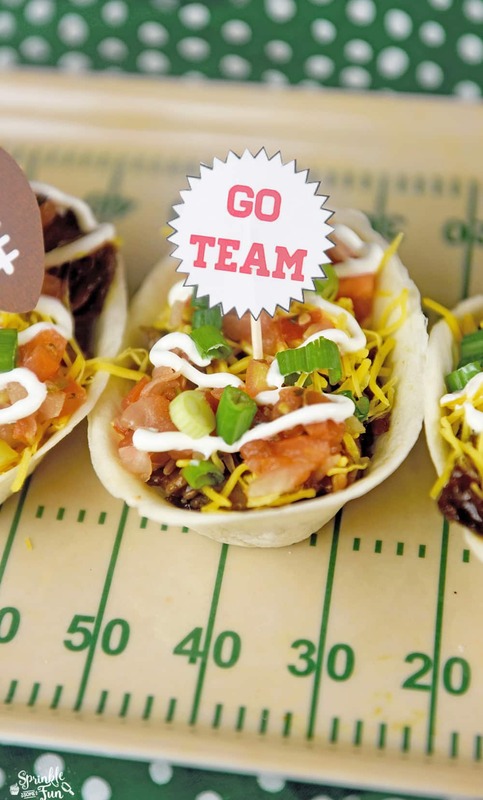 Be sure to get the Free Football Printables here to put on a toothpick and insert in the Barbecue Brisket Mini Taco Boats! Barbecue brisket mini tacos are a great weeknight meal idea or the perfect party appetizer! 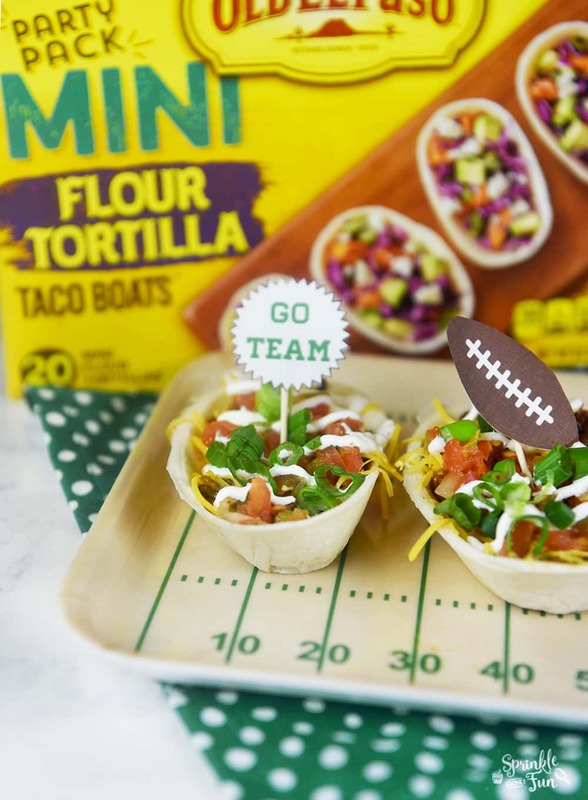 Prepare Old El Paso Mini Soft Taco Boats as directed on the box. Once they are finished cooking then add the brisket, pico de gallo, cheese, sour cream and green onions. 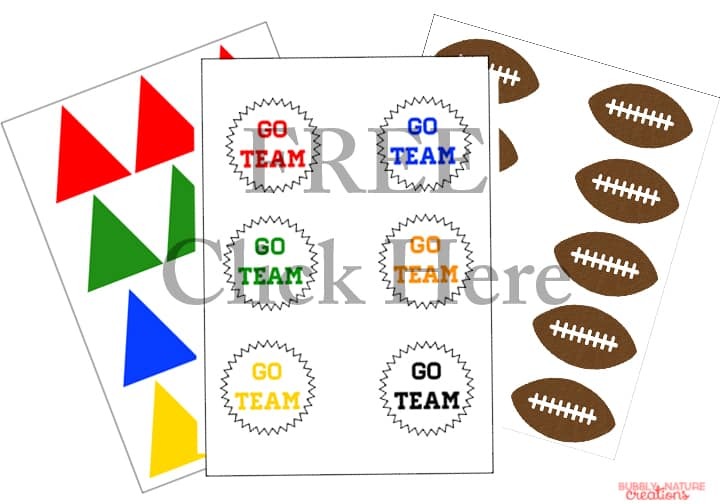 Optional... use little toothpicks with football print outs. Serve and enjoy! Are you excited for the Big Game yet or at least the yummy foods? Be sure to check out Old El Paso for more great game day food ideas!